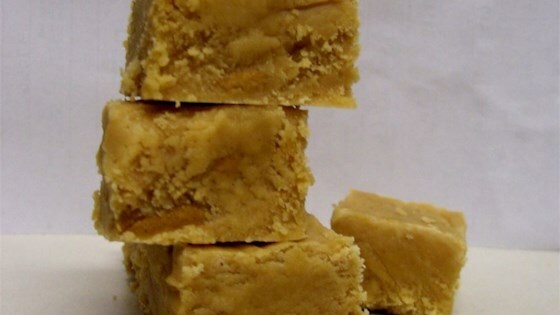 "This recipe belongs to my mother and it is the creamiest peanut butter fudge ever." In a medium saucepan over medium heat, combine sugar, brown sugar, butter and evaporated milk. Bring to a boil, stirring constantly, and boil for 7 minutes. Remove from heat; stir in marshmallow creme until well incorporated and melted. Stir in peanut butter and vanilla until smooth; spread in prepared pan. Let cool before cutting into squares.